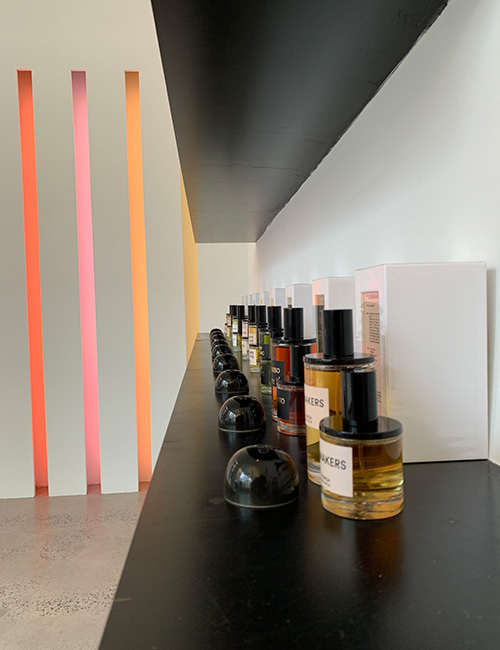 Step through the doors of 251 Mulberry Street in Manhattan’s Nolita and you’ve entered the magnificent olfactory world of David Moltz and Kavi Ahuja, the husband and wife duo behind virtuoso fragrance brand D.S. & DURGA. 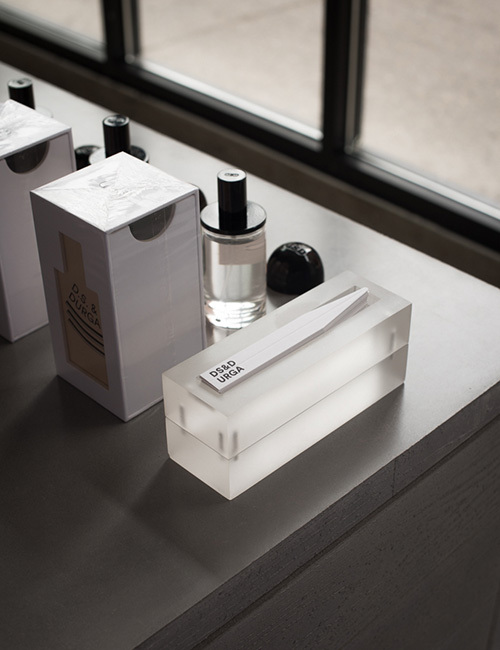 A luminescent jewel box of a store, the new space was designed by K&Co in conjunction with the brand’s founders. 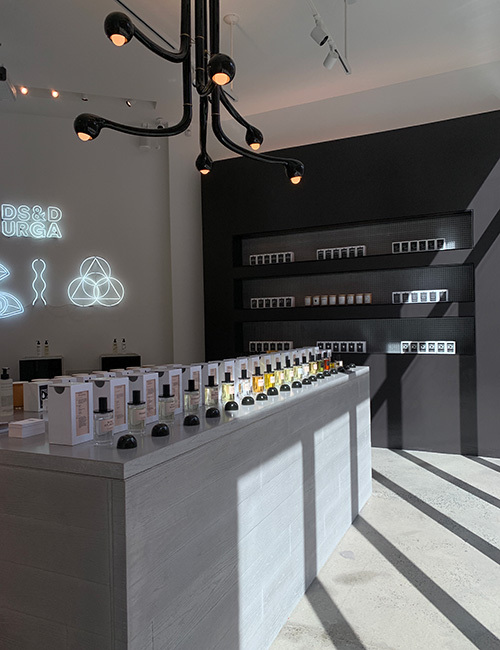 True to the brand’s Brooklyn roots, D.S. & DURGA’s first Manhattan space exudes a sense of modern exuberance juxtaposed with an industrial edge. Anchoring the space is a Brutalist inspired concrete island made by Brooklyn’s OSO Industries above which hangs a one-of-a-kind gloss black stoneware chandelier by Los Angeles-based studio Entler. In a nod to James Turrell and other modern lighting artists, one wall is illuminated by a constellation of tube-light recesses, which can be programmed to change color depending on the time of the day or occasion (the brand intend on using the space for regular events and programming). 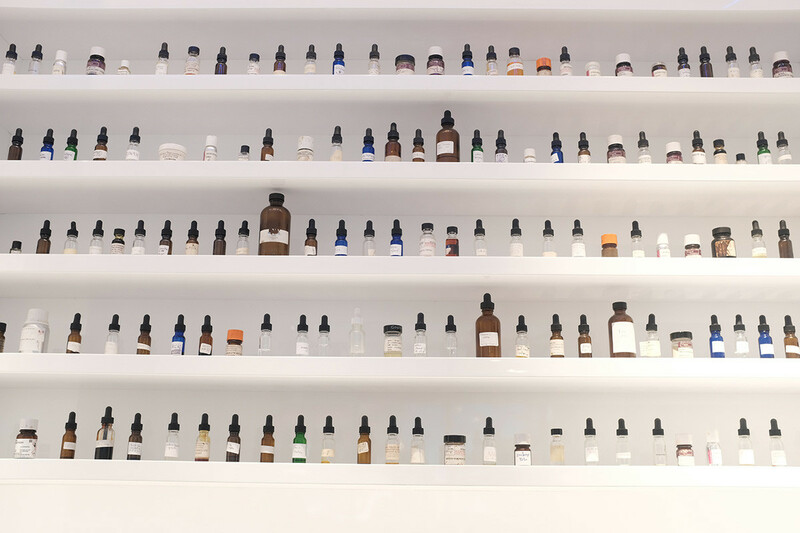 An additional personal note is Moltz’s ‘perfume wall,’ which features the myriad ingredients that go into D.S. & DURGA’s irresistible fragrances.